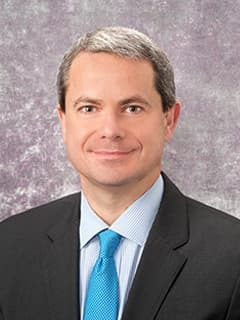 Giulio Zuccoli, MD, is the Chief of the Division of Neuroradiology in the Department of Radiology at Children's Hospital of Philadelphia. Dr. Giulio Zuccoli is the Chief of the Division of Neuroradiology in the Department of Radiology. Dr. Zuccoli comes from the Children’s Hospital of Pittsburgh where he was the Chief of the Section of Neuroradiology since 2010 and Professor of Radiology at the School of Medicine of the University of Pittsburgh. Dr. Zuccoli completed his medical training in 1995 from the Universities of Parma and Bologna, Italy. He completed his residency in radiology at the University of Parma. This encompassed a one-year fellowship in neuroradiology and pediatric neuroradiology through the European Erasmus Post-Graduate Program at the University of Barcelona in Spain. For the next 10 years, he worked at a tertiary academic hospital, the “Istituto di Ricovero a Carattere Scientifico,” as a neuroradiologist and pediatric neuroradiologist until he joined the Children’s Hospital of Pittsburgh in 2009. In addition to his outstanding clinical productivity and departmental leadership accomplishments, Dr. Zuccoli is an internationally recognized researcher. He has published over 145 papers and book chapters. He lectures in many national and international settings in pediatric neuroradiology. Even K, Zuccoli G, Subramanian S, Kochanek P, Gaines B, Berger R, Fink E (2019 Jan). 1807: Patterns of Multiple Organ Dysfunction in Abusive Head Trauma. Critical Care Medicine, 47 (1): 877. Teixeira SR, Gonçalves FG, Servin CA, Mankad K, Zuccoli G. Ocular and Intracranial MR Imaging Findings in Abusive Head Trauma. Top Magn Reson Imaging. 2018 Dec;27(6):503-514. doi: 10.1097/RMR.0000000000000169. Zuccoli G, Fitz C, Greene S, Lindner SA, Nardone R, Khan AS, Rajan D, Cummings DD. Imaging Review of Common and Rare Causes of Stroke in Children. Top Magn Reson Imaging. 2018 Dec;27(6):463-477. doi: 10.1097/RMR.0000000000000183. BoAli A, Tlili-Graiess K, AlHashem A, AlShahwan S, Zuccoli G, Tabarki B (2019 February). Novel Homozygous Mutation of the AIMP1 Gene: A Milder Neuroimaging Phenotype with Preservation of the Deep White Matter. Pediatric Neuroradiology, 91: 57-61. Doi: 10.1016/j.pediatrneurol.2018.09.010. PMID: 30477741. Electronically published: 2018 Sep 25. Haredy M, Zuccoli G, Tamber M, Davis A, Nischal K, Goldstein G: Use of Neuroimaging Measurements of Optic Nerve Sheath Diameter to Assess Intracranial Pressure in Craniosynostosis. Childs Nerv Syst. 2018 May;34(5):939-946. doi: 10.1007/s00381-018-3728-7. Epub 2018 Jan 29. Utz M, Tamber M, Mason G, Pollack IF, Panigrahy A, Zuccoli G: Contrast-Enhanced 3-Dimensional Fluid Attenuated Inversion Recovery Sequences Have Greater Sensitivity for Detection of Leptomeningeal Metastases in Pediatric Brain Tumors Compared to Conventional Spoiled Gradient Echo Sequences. Journal of Pediatric Hematology Oncology September 2017 Notes: Epub ahead of print. Zuccoli G, Khan AS, Panigrahy A, Tamber MS: In Vivo Demonstration of Traumatic Rupture of the Bridging Veins in Abusive Head Trauma. Pediatric Neurology 72: 31-35, July 2017. Hwang M, Shin SS, Thimm MA, Ghodadra A, Sylvester CL, Nischal K, Panigrahy A, Zuccoli G: Apparent Diffusion Coefficient (ADC) of the Vitreous Humor and Susceptibility Weighted Imaging (SWI) of the Retina in Abused Children with Retinal Hemorrhages. Clinical Imaging 44: 38-41, July-August 2017. Pipitone N, Notarnicola A, Levrini G, Spaggiari L, Scardapane A, Iannone F, Lapadula G, Pattacini P, Zuccoli G, Salvarani C: Do Dermatomyositis and Polymyositis Affect Similar Thigh Muscles? A Comparative MRI-Based Study. Clinical and Experimental Rheumatology 34(6): 1098-1100, November-December 2016. Hwang M, Zuccoli G, Panigrahy A, Rodriguez D, Poe MD, Escolar ML: Thickening of the Cauda Equina Roots: a Common Finding in Krabbe Disease. European Radiology 26(10): 3377-82, October 2016. Ramgopal S, Obeid R, Zuccoli G, Cleves-Bayon C, Nowalk A: Lyme Disease-Related Intracranial Hypertension in Children: Clinical and Imaging Findings. Journal of Neurology 263(3): 500-7, March 2016. Langford S, Panigrahy A, Narayanan S, Hwang M, Fitz C, Flom L, Lee VK, Zuccoli G: Multiplanar Reconstructed CT Images Increased Depiction of Intracranial Hemorrhages in Pediatric Head Trauma. Neuroradiology 57(12): 1263-8, December 2015. Zuccoli G, Fitzgerald RT, Nardone R, Furtado AD, Abdel-Hamid H: The Link Between Arterial Blood Pressure and Vasogenic Edema in Pediatric PRES. Neuroradiology 57(8): 865-6, August 2015. Zuccoli G, Narayanan S, Panigrahy A, Poe MD, Escolar ML: Midbrain Morphology Reflects Extent of Brain Damage in Krabbe Disease. Neuroradiology 57(7): 739-45, July 2015. Furtado A, Hsu A, La Colla L, Zuccoli G: Arterial Blood Pressure but Not Serum Albumin Concentration Correlates with ADC Ratio Values in Pediatric Posterior Reversible Encephalopathy Syndrome. Neuroradiology 57(7): 721-8, July 2015. Naftel RP, Pollack IF, Zuccoli G, Deutsch M, Jakacki RI: Pseudoprogression of Low-Grade Gliomas After Radiotherapy. Pediatric Blood & Cancer 62(1): 35-9, January 2015. Zuccoli G, Panigrahy A, Sreedher G, Bailey A, Laney EJ, La Colla L, Alper G: Vasogenic Edema Characterizes Pediatric Acute Disseminated Encephalomyelitis. Neuroradiology 56(8): 679-84, August 2014. Safier R, Cleves-Bayon C, Vaisleib I, Siddiqui A, Zuccoli G: Magnetic Resonance Angiography Evidence of Vasospasm in Children with Suspected Acute Hemiplegic Migraine. Journal of Child Neurology 29(6): 789-92, June 2014. Vorona GA, Zuccoli G, Sutcavage T, Clayton BL, Ceschin RC, Panigrahy A: The Use of Adaptive Statistical Iterative Reconstruction in Pediatric head CT: a Feasibility Study. American Journal of Neuroradiology 34(1): 205-11, January 2013. Tabarki B, Al-Shafi S, Al-Shahwan S, Azmat Z, Al-Hashem A, Al-Adwani N, Biary N, Al-Zawahmah M, Khan S, Zuccoli G: Biotin-Responsive Basal Ganglia Disease Revisited: Clinical, Radiologic, and Genetic Findings. Neurology 80(3): 261-7, January 2013. Fitzgerald RT, Osorio J, Panigrahy A, Mazariegos GV, Zuccoli G: Isolated Leptomeningeal Enhancement in Tacrolimus-Associated Posterior Reversible Encephalopathy Syndrome. Pediatric Neurology 48(1): 76-8, January 2013. Alper G, Sreedher G, Zuccoli G: Isolated Brain Stem Lesion in Children: Is It Acute Disseminated Encephalomyelitis or Not? American Journal of Neuroradiology 34(1): 217-20, January 2013. Pipitone N, Notarnicola A, Zuccoli G, Spaggiari L, Levrini G, et. al: Has MRI an Added Value Over Serum Creatine Kinase Measurement in Myositis? Clinical and Experimental Rheumatology 30: 570-3, 2012. Fitzgerald RT, Zuccoli G: Agenesis of the Internal Carotid Artery: Associated Malformations Including a High Rate of Aortic and Cardiac Malformations. Pediatric Radiology 42(11): 1333-8, November 2012. Brigo F, Ausserer H, Zuccoli G, Tezzon F, Nardone R: Seizure Heralding Tuberculous Meningitis. Epileptic Disorders: International Epilepsy Journal with Videotape 14(3): 329-33, September 2012. Pipitone N, Versari A, Zuccoli G, Levrini G, Macchioni P, B Gianluigi, Salvarani C: 18F-Fluorodeoxyglucose Positron Emission Tomography for the Assessment of Myositis: a Case Series. Clinical and Experimental Rheumatology 30(4): 570-3, July-August 2012. Lochner P, Golaszewski S, Caleri F, Ladurner G, Tezzon F, Zuccoli G, Nardone R: Posterior Circulation Ischemia in Patients with Fetal-Type Circle of Willis and Hypoplastic Vertebrobasilar System. Neurological Ssciences: Official Journal of the Italian Neurological Society and of the Italian Society of Clinical Neurophysiology 32(6): 1143-6, December 2011. Zuccoli G, Panigrahy A, Bailey A, Fitz C: Redefining the Guillain-Barré Spectrum in Children: Neuroimaging findings of Cranial Nerve Involvement. American Journal of Neuroradiology 32(4): 639-42, April 2011. Zuccoli G, Santa Cruz D, Bertolini M, Rovira A, Gallucci M, Carollo C, Pipitone N: MR Imaging Findings in 56 Patients with Wernicke Encephalopathy: Nonalcoholics May Differ from Alcoholics. American Journal of Neuroradiology 30(1): 171-6, January 2009. Rizzi R, Zuccoli G, Motti L, Bondavalli M, Marcello N: Cortical Subcortical Lesions Near the Temporal Pole, the Temporal Horn of the Lateral Ventricle and the Insular Cortex Are Associated with Epileptic Seizures in Patients with Multiple Sclerosis. Boll Lega It Epil Page: 138-139, 2008. Zuccoli G, Gallucci M, Capellades J, Regnicolo L, Tumiati B, Giadás T Cabada, Bottari W, Mandrioli J, Bertolini M: Wernicke Encephalopathy: MR Findings at Clinical Presentation in twenty-Six Alcoholic and Nonalcoholic Patients. American Journal of Neuroradiology 28(7): 1328-31, Aug 2007. Guidetti D, Casali B, Mazzei R L, Cenacchi G, De Berti G, Zuccoli G, Nicoli D, Conforti F L, Sprovieri T, Pasquinelli G, Brini M: An Italian Case of CADASIL with Mutation CGC-TCG in Codon 1006, Exon 19 Notch3 Gene. Neurological Sciences: Official Journal of the Italian Neurological Society and of the Italian Society of Clinical Neurophysiology 24(6): 401-6, February 2004. Zuccoli G, Guidetti D, Nicoli F, Giovanardi F, Ferrozzi F: Carotid and Vertebral Artery Dissection: Magnetic Resonance Findings in 15 Cases. La Radiologia Medica 104(5-6): 466-71, November-December 2002. Guidetti D, Malferrari G, Zucco R, Pisanello A, Zuccoli G, Ottonello GA, Brusa G, Seneghini A, Regesta G, Zanferrari C, Bertolino C, Scoditti U, Cerrato P, Grasso MF, Giraudo M, Baima C, Grasso E, Causin F, Castellan L, Perini S, Toso V, Ciucci G, Padoan G, Bianchedi G, Vecchio A, Consoli D, Procaccianti G, Sacquegna T, Bassi P, Mariani G, Calloni MV, Gomitoni A: Spontaneous Supraortic Arterial Dissection. Multicentric Clinical Study. Rivista di Neurobiologia 48: 287-296, 2001. Zuccoli G, Ferrozzi F, Signorini M, Virdis R, Troiso A: Optic Pathway Gliomas in Patients with Neurofibromatosis Type 1: Clinical-Neuroradiological Integrated Approach. La Radiologia Medica 101(5): 382-5, May 2001. Ferrozzi F, Tognini G, Zuccoli G, Cademartiri F, Pavone P: Peliosis Hepatis with Pseudotumoral and Hemorrhagic Evolution: CT and MR Findings. Abdominal Imaging 26(2): 197-9, March-April 2001. Sigorini M, Zuccoli G, Ferrozzi F, Bacchini E, Street M E, Piazza P, Rossi M, Virdis R: Magnetic Resonance Findings and Ophthalmologic Abnormalities Are Correlated in Patients with Neurofibromatosis Type 1 (NF1). American Journal of Medical Genetics 93(4): 269-72, August 2000. Zuccoli G, Ferrozzi F, Troiso A, Inverardi T, Ubaldi A, Ghizzoni L: A Magnetic Resonance Study of 39 Children with Different Causes of Short Stature. La Radiologia Medica 100(1-2): 17-20, Jul-Aug 2000. Zuccoli G, Bargallo N, Mercader JM, Ibanez J, Rossi M, Bassi P: Pre Mamillar Endoscopy: Evaluation with Phase Contrast Cine-MR Imaging. The Neuroradiology Journal 12: 145-148, 1999. Ferrozzi F, Zuccoli G, Tognini G, Castriota-Scanderbeg A, Bacchini E, Bernasconi S, Campani R: An Assessment of Abdominal Fatty Tissue Distribution in Obese Children. A Comparison Between Echography and Computed Tomography. La Radiologia Medica 98(6): 490-4, December 1999. Ferrozzi F, Zuccoli G, Bacchini E, Piazza P, Sigorini M, Virdis R: Extracerebral Neoplastic Manifestations in Neurofibromatosis 1: Integrated Diagnostic Imaging. La Radiologia Medica 96(6): 562-9, December 1998. Zuccoli G, Cianfoni A: A-A Rotatory Subluxation. Clinical Imaging of Spinal Trauma: A Case-Based Approach. Zoran Rumboldt (eds.). Cambridge University Press, Chapter 50, 2018. Yannes MP, Zuccoli G: A-A Distraction. Clinical Imaging of Spinal Trauma: A Case-Based Approach. Zoran Rumboldt (eds.). Cambridge University Press, Chapter 49, 2018. Sumkin A, Zuccoli G: Specific Pitfalls and Measurements. Clinical Imaging of Spinal Trauma: A Case-Based Approach. Zoran Rumboldt (eds.). Cambridge University Press, Chapter 46, 2018. Close O, Zuccoli G: SCIWORA. Clinical Imaging of Spinal Trauma: A Case-Based Approach. Zoran Rumboldt (eds.). Cambridge University Press, Chapter 47, 2018. Close O, Zuccoli G: Osteogenesis Imperfecta. Clinical Imaging of Spinal Trauma: A Case-Based Approach. Zoran Rumboldt (eds.). Cambridge University Press, Chapter 51, 2018. Zuccoli G, Pipitone N, Giannini C, Salvarani C: Central Nervous System Vasculitis. Oxford Textbook of Clinical Neurology. Massimo Filipp (eds.). Oxford University Press, Chapter 31: 397-404, 2015. Zuccoli G: Hepatic Encephalopathy. MR Spectroscopy of Pediatric Brain Disorders. Springer, Page: 167-174, 2014. Zuccoli G, Sreedher G: Hydrocephalus. Caffey's Pediatric Diagnostic Radiology, 7th ed. Elsevier, Page: 321-329, 2013. Zuccoli G, Crowley H: Inherited Metabolic and Degenerative Disorders. Caffey's Pediatric Diagnostic, Radiology, 7th ed. Elsevier, Page: 330-357, 2013. Ly JD, Subramanian S, Rajan D, Greene S, Zuccoli G: A Neuroenteric Cyst Acting as a Foreign Body in the Brainstem: Imaging and Clinical Findings. Society of Pediatric Radiology annual meeting & Postgraduate Course, Nashville, TN, May 2018, Poster presentation. James Brewer J, Zuccoli G, Bykowski J, Hood J, Harrison C, Mesa R: Case Series of Potential Wernicke Encephalopathy in Patients Treated with Fedratinib Catriona Jamieson. American Society of Hematology annual meeting, Atlanta, GA, December 2017, Oral presentation. Haredy M, Zuccoli G, Tamber M, Nischal K, Goldstein J: Optic Nerve sheath diameter Measured by MR Imaging and Computed Tomography in Cranisoynostosis. International Society of Craniofacial Surgery, 17th Biennal Congress Cancun, Mexico, October 2017, Oral presentation. Squires J, Zuccoli G, Flom L, Subramanian S, Panigrahy A: Ultrasound-MRI Correlation of Neonatal Intracranial Abnormalities: Beyond Germinal Matrix Hemorrhage. Society for Pediatric Radiology 60th National meeting, Vancouver BC, Canada, May 2017, Electronic poster. Connolly B, Tamber M, Zuccoli G: Is Contrast Needed in Routine in Routine MR Surveillance Imaging in Pediatric Neurofibromatosis Type 1 Patients: Gadolinium Deposition and Considerations for Surveillance Scanning. American Society Neuroradiology National Meeting, Long Beach, California, April 2017, Oral presentation. Szofer S, Goldstein A, Asato M, Zuccoli G: Infection unmasks POLG disorders and leads to new onset refractory status epilepticus (NORSE) Child Neurology Society annual meeting, Vancouver, Canada, October 2016, Oral presentation. Munjal N, Cummings D, Zuccoli G: The Multimodal Approach to Atypical Migraine with Aura Mimicking Stroke: Time Course of Cerebral Perfusion Changes. Child Neurology Society annual meeting, Vancouver, Canada, October 2016, Oral presentation. Lindner, D Cummings, R Nardone, G Zuccoli: Neuroimaging Findings of Ischemic Stroke in Children. American Society of Neuroradiology, Washington, DC, May 2016, Oral presentation. Kellogg R, Zuccoli G, Tamber MS: Arterial Spin Labeling MRI for Identification of Focal Cortical Dysplasia in Children. American Association of Neurological Surgeons/Congress of Neurological Surgeons, Section on Pediatric Neurological Surgery Annual Meeting, Seattle, WA, December 2015, Poster Presentation. Panigrahy A, Votava-Smith J, Vincent GG, Klena N, Gibbs B, Reynolds III WT, Schmithorst VJ, Paquette L, Lo CW: Abnormal Brain Connectivity and Poor Neurodevelopmental Outcome in Congenital Heart Disease Patients with Subtle Brain Dysplasia. American Heart Association Annual Meeting, Orlando FL, November 2015, Oral presentation. Notarnicola A, Pipitone N, Spaggiari L, Scardapane A, Levrini G, Iannone F, Lapadula G, Zuccoli G, Salvarani C: Role of MRI in the Follow up of Patients with Myositis. First International Conference on Myositis, Stockholm Page: 55, May 2015, Oral presentation. McGovern J, Zuccoli G, Goyal R: Multimodal Imaging Findings in Children with PRES. Society for Pediatric Radiology annual meeting, Washington, DC, April-May 2015, Poster presentation. Langford S, Panigrahy A, Narayanan S, Hwang M, Fitz C, Flom L, Zuccoli G: Benefits of Routine Use of Multiplanar Reformatted Images in the CT Evaluation of Acute Pediatric Head Trauma. American Society of Neuroradiology 53rd Annual Meeting & The Foundation of the American Society of Neuroradiology Symposium, Oak Brook, IL, April 2015, Oral presentation. Furtado A, Hsu A, La Colla L, Zuccoli G: Arterial Blood Pressure but Not Serum Albumin Concentration Correlates with ADC Ratio Values in Pediatric PRES. American Society of Neuroradiology 53rd Annual Meeting & The Foundation of the American Society of Neuroradiology Symposium, Oak Brook, Illinois, April 2015, Oral presentation. Close O, Hwang M, Yannes M, Zuccoli G: A Rare but Rapidly Destructive Case of Autoimmune Labyrinthitis Associated with Ulcerative Colitis. American Society of Neuroradiology 53rd Annual Meeting & The Foundation of the American Society of Neuroradiology Symposium, Oak Brook, IL, April 2015, Oral presentation. Zuccoli G. "Interesting Cases and Approach on Brain Inflammatory Diseases", European Course of Pediatric Neuroradiology, Latin America, Hilton Hotel Cartagena de Indias Colombia. October 2017. Zuccoli G. "Case Review", European Course of Pediatric Neuroradiology, Latin America, Hilton Hotel Cartagena de Indias Colombia. October 2017. Zuccoli G. "You Can Look But What Do You See? ", Asociación Colombiana de Oftalmología Pediatrica y Estrabismo (ACOPE) Bogotá, Columbia. February 2017. Zuccoli G. "Manifestaciones Radiológicas de Alteraciones Mitocondriales Escuela Superior de Oftalmología", Instituto Barraquer de América, Bogotá, Colombia. February 2017. Zuccoli G. "The Secret World of Mitochondria", European Course in Paediatric Neuroradiology (ECPN), Genoa Italy. January 2017. Zuccoli G. "Metabolic Diseases", European Course in Paediatric Neuroradiology (ECPN) Genoa Italy. January 2017. Zuccoli G. "Autoimmune and Metabolic Disorders of the CNS in Children", Visiting Professor, University of British Columbia, British Columbia Children's Hospital, Vancouver, British Columbia. October 2016. Zuccoli G. "Brain Autoimmunity and its Mimics in Children", Visiting Professor, Sick Kids Hospital, Toronto, Ontario. October 2016. Zuccoli G. "Brainstem Presentations in Pediatric Multiple Sclerosis", Child Neurology Society annual meeting, Vancouver Canada. October 2016. Zuccoli G. "Utility of Post-Contrast Volumetric FLAIR Imaging in Leptomeningeal Disease", Child Neurology Society annual meeting, Vancouver Canada. October 2016. Zuccoli G. "Child Abuse Imagining", Child Abuse 23rd Annual Meeting, Advanced Course in Diagnostic Neuroradiology & 8th Advanced Course in Interventional Neuroradiology of the European Society of Neuroradiology, Belgrade Serbia. September 2016. Zuccoli G. "Bridging Veins Rupture Correlates with Subdural Hemorrhages in Abusive Head Trauma: A Volumetric SWI", American Society of Neuroradiology, Washington, DC. May 2016. Zuccoli G. "Utility of Post-Contrast FLAIR Imaging in Pediatric Brain Tumors: Initial Experience", American Society of Neuroradiology, Washington, DC. May 2016. Zuccoli G. "The Evolving Multimodal Imaging Approach to the Pediatric Eye", American Association for Pediatric Ophthalmology and Strabismus (AAPOS), 42nd Annual Meeting, Vancouver, BC. April 2016. Zuccoli G. "Metabolic Diseases", European Course in Paediatric Neuroradiology (ECPN) Genoa Italy. January 2016. Zuccoli G. "Imaging in Abusive Head Trauma", University Hospital Vall D`Hebron, Barcelona, Spain. September 2015. Zuccoli G. "Update on Neurometabolic Diseases", University Hospital Vall D`Hebron, Barcelona, Spain. September 2015. Zuccoli G. "Abusive Head and Abusive Spinal Trauma", 22nd Advanced Course in Diagnostic Neuroradiology, Naples, Italy. September 2015. Zuccoli G. "Update on SWI in Neuroradiology", 38th European Society of Neuroradiology Annual Meeting, Naples, Italy. September 2015. Zuccoli G. "What are the Newer MRI Techniques That You Should Know About? Imaging in Pediatric Ophthalmology", 3rd World Congress of Pediatric ophthalmology and strabismus, Barcelona, Spain. September 2015. Zuccoli G. "Child Abuse, Clinical, Radiological, and Legal Aspects", University of Parma, Italy. June 2015. Zuccoli G. "Advances in the Neuroradiological Diagnosis of Abusive Head Trauma", Hospital "Sacro Cuore-Don Calabria", Verona, Italy. June 2015.